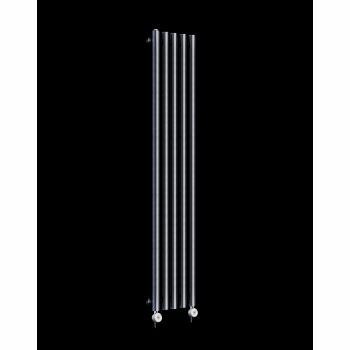 Circolo, tall, ultra thin, gloss white electric ecodesign radiator 1800mm high x 260mm wide. Funky and modern, this tubular column radiator has a heat output of 1200 Watts. It is a great space saving radiator for narrow spaces. Circolo is a designer electric radiator ideal for living rooms, bedrooms, kitchens, in fact all rooms in the domestic home. In 2018 is was written in UK and EU Law (regardless of Brexit) that all electric designer radiators should meet strict new energy efficiency guidelines. In 2019, it became illegal to install electric designer radiators that do not meet these guidelines. This Geyser electric designer radiator comes complete with a highly advanced heating element. The accumulation of eco features built into this heating element take this designer electric radiator past the threshold criteria score for Ecodesign LOT 20 compliance. Here are the ECO features of this electric radiator€¦. Giving you control and flexibility to heat your space as and when you choose. Allows you to save power when the room does not need to be heated or heated to full temperature. The most advanced technical change for ECO purposes, electric designer radiators must now sense the ambient temperature of the room NOT the internal solution temperature. A digital display allows you to set the target, comfortable, temperature for the room and the radiator will work to maintain that temperature. This prevents over heating of the room and therefore prevents excessive energy use. The radiator senses the sudden drop in temperature when a window is opened and switches off. This is done automatically without any setting changes from the user. The radiator will automatically start heating again towards the pre set comfort temperature once the window is closed. This feature is based on the logical assumption that nobody would want to waste energy heating the outside air via an open window. This Geyser Dynamic element incorporated into this designer electric radiator has additional features over and above those required for Ecodesign LOT 20 Compliance. These include 6 x pre-set fixed programs and 3 x flexible settable programs. The radiator also has a 2hr boost function for a rapid high heat increase before returning to previous temperature setting. The digital temperature range can be set between 7°and 32°. The heating element is IP44 rated which means it is electrically safe even if accidentally splashed with water. A stand-by mode is also included. Circolo is a modern radiator range which can be can be wall mounted in vertical or horizontal orientation. 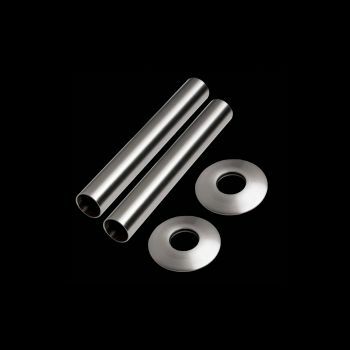 Available for sale here as an electric radiator range, Circolo is a high heat output range with chunky tubular columns. With great coloured options as well, this range is a classic design choice for large rooms. Circolo is a Geyser exclusive design and therefore you are buying direct from the distributors online store guaranteeing you a direct sale at the lowest price in the UK. Again, an important feature of the Circolo is the 40mm diameter chunky tubular columns which hold a high water volume. This is the source of the very high heat output associated with this range. Install these as vertical upright models or as long horizontal models and achieve have high outputs peaking at 2000 Watts. There is a Circolo designer radiator to suit large living rooms, small living rooms, kitchens, bedrooms, bathrooms, dining rooms and lounges. 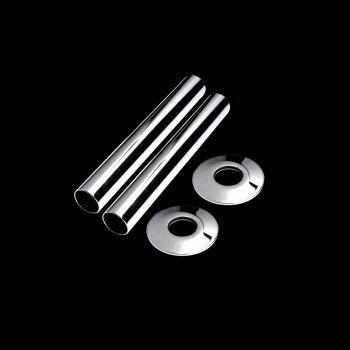 Alternatively, you can see our range of matching Cirtowelo bathroom towel rails in the electric towel rails category. Geyser electric radiators are the best quality and are manufactured to last. Geyser electric radiators are for sale online for the best price in the UK for the quality. They are cheap when you calculate the whole life cost and longevity of the product. We are transparent with our quality and service. Our customers review us daily with the most well-known independent online review company, Trustpilot.